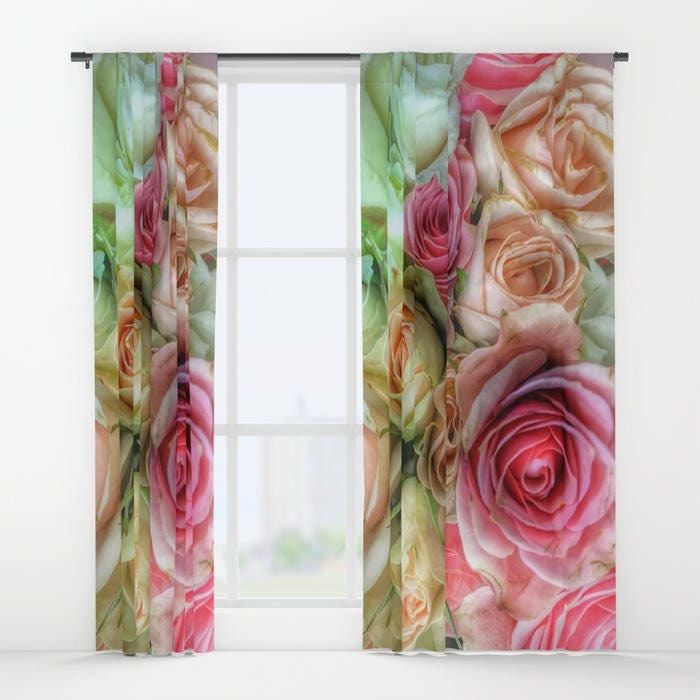 Beautiful and unique home décor window curtain featuring " "Roses - Pink and Cream"". 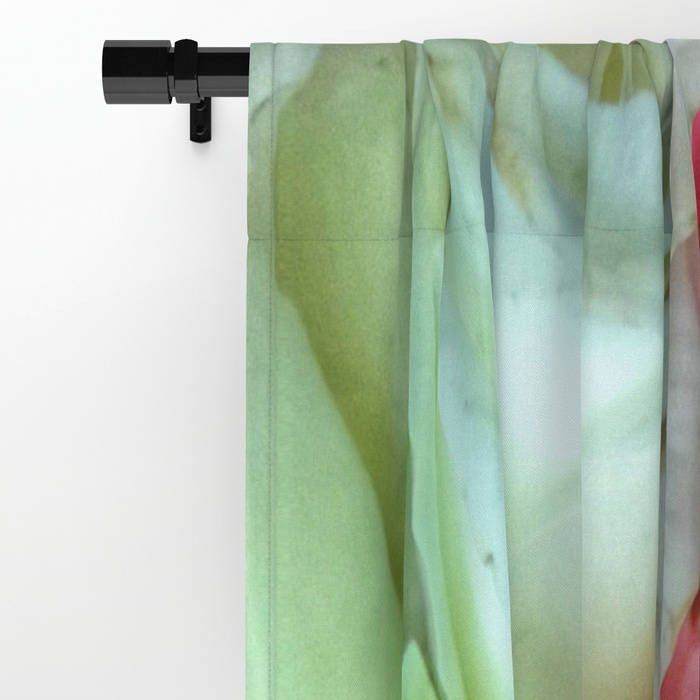 Your drapes don't have to be so drab. My awesome Window Curtains transform a neglected essential into an awesome statement piece. They're crafted with 100% lightweight polyester, and thick enough to block out some light. Position the curtain rod into the 4" pocket and you're good to go. All curtains are a single-sided print and measure 50" x 84". Available in single or double panel options. Machine wash cold (no bleach!) and tumble dry low. Please choose from the drop down menu for single or double panel options. 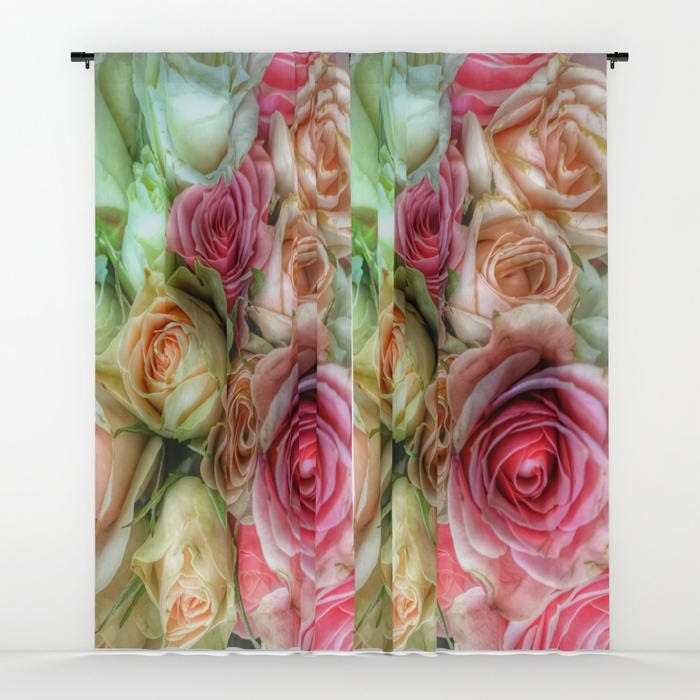 Do you see an image in my shop that is not listed as a window curtain? Just send me a message, and I will make you a custom listing.